Read skier and snowboarder-submitted reviews on Heavenly Mountain Resort that rank the ski resort and mountain town on a scale of one to five stars for attributes such as terrain, nightlife and family friendliness. See how Heavenly Mountain Resort stacks up in the reviews, on and off the slopes, from skiing and family activities to the après scene. Read up on pros, cons and other comments in reviews left by fellow skiers and riders. Don't forget to submit your own Heavenly Mountain Resort review! Scroll to the bottom of this page to let other travelers know about your skiing and resort experience. 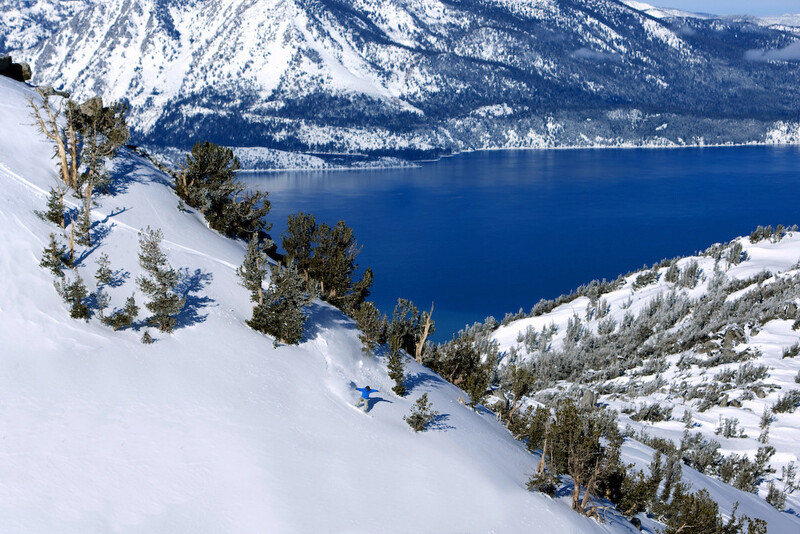 For more destination information, click Add to Compare to see a side-by-side comparison of Heavenly Mountain Resort vs. other ski resorts (up to 10 total). I love South Lake Tahoe and the beautiful nature it has to offer. Skiing with great views is enjoyable if only people who run Heavenly Ski Resort could decide if Gondola is a touristy attraction or a lift for people who pay a lot of money per season to ski on the mountain. Management has to figure out the way for tourists to go on different times than when it's peak for the skiers to go down or go up. It is not practical or fair towards season members to find ourselves spending the most of the day waiting in lines. And besides all of it tourists run on the ski-runs and it's not safe for anyone like that. Ridiculous indeed. We as a season pass holders came to the mountain on the last weekend of January and the line to go up the Gondola was going around the entire building where Gondola starts ending close to the street. We made it through after 30 min just to discover that wait was not so bad. The line to go down at the end of our ski day was 75 min. This made me seriously rethinking if this resort is worth my ski/wait time. BUT that was not the end of the story. Since the group line for Gondola on the way down would probably be 2h of wait minimum, we decided to take singles line:my partner, my preschooler and me. My partner was holding our baby in his arms planning to hold her in his lap in Gondola, but the Gondola gatekeeper lady who's name I did not memorize (but I will start writing those down in the future) said in a very unkind tone that we have to get ready to separate from our baby on the entrance to the Gondola. That was highly unprofessional to say and illegal by law to do, so I could not believe my ears. When I entered the Gondola lift alone from the singles lane, I was the first one who entered the lift and took a seat, just to find myself 5 sec later moved by the Heavenly staff female from Denver who entered the lift after me and requested me to move to the opposite side bench since she wanted to sit on the spot I was sitting on. She took my spot opened her phone and got busy browsing on her phone. I couldn't believe what she has done. There was no group she took care of and no other particular reason to move me. She was using her authority just because she could. It was very unpolite and not necessary. Contrary to her there were another 3 people in the lift with us who were as well working in the resort being very polite and kind. I wish that the whole resort has a policy of politeness and respect of customers in place. The only things offered there are threats. I do not feel welcome there and would not recommend it to anybody.